Can You Watch Netflix with Free VPNs? Do Free VPNs work in China? Free VPNs get a bad reputation these days for the dangers they impose on users. However, there are still a couple of reputable companies out there you can trust. When looking for a quality VPN service it’s crucial to search through user testimonials, professional reviews, and even trial the services yourself to discover what services are the best. However, luckily for you, we’ve already gone through this time-consuming process so that you don’t have to and were able to compile a list of the top free VPN services. These services all come from trustworthy and reliable companies, and each of them has a paid version that you can upgrade to for more features and freedom online. The most significant focus for these free VPN services is their dedication to your privacy and security as this is the bare minimum that a service should provide regardless of the price tag. Not only are we going to run you through the best long term free VPN services, but we also wanted to introduce you to an excellent premium service with a 7-day free trial and 30-day money-back guarantee as it’s perfect if you need a free VPN for a short amount of time. While there’s nothing wrong with any of the free VPNs in this list, if you’re chasing a provider that can give you complete anonymity and security for all your web use then it’s worth taking a look at NordVPN. Not only do they have a passion for your privacy and protection, but they also can bypass most of the world’s geo-restricted content, meaning you can stream or torrent all of your favorite shows. With NordVPN, you’ll be offered top of the line encryption protocols to ensure your privacy. They also have some impressive security features such as an automatic kill switch, strict no logs policy, DNS/IP leak protection, and double tunneling. Considering that they boast more than 5,000 servers located in over 60 countries, you won’t need to worry about slow speeds with NordVPN. 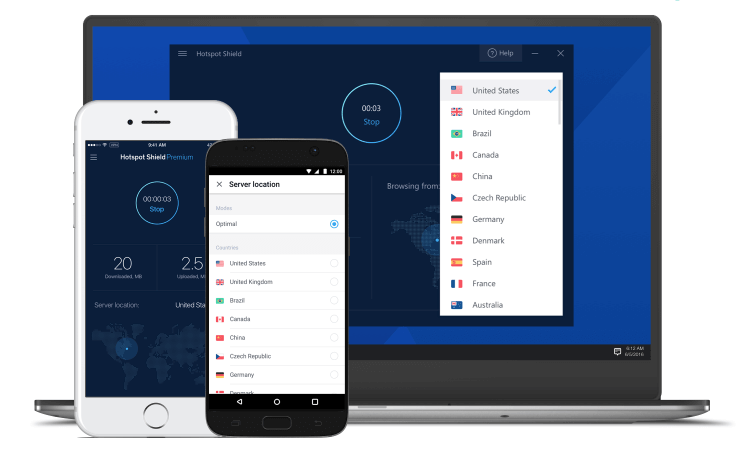 NordVPN has some of the fastest VPN speeds available, and you can stream shows and movies without buffering. They are also one of the only VPNs that can still consistently unblock popular streaming sites like Netflix, BBC iPlayer, and Hulu. Moreover, you can use up to 6 devices at the same time, making it ideal for families and housemates that want to access global content while protecting all their phones and computers. 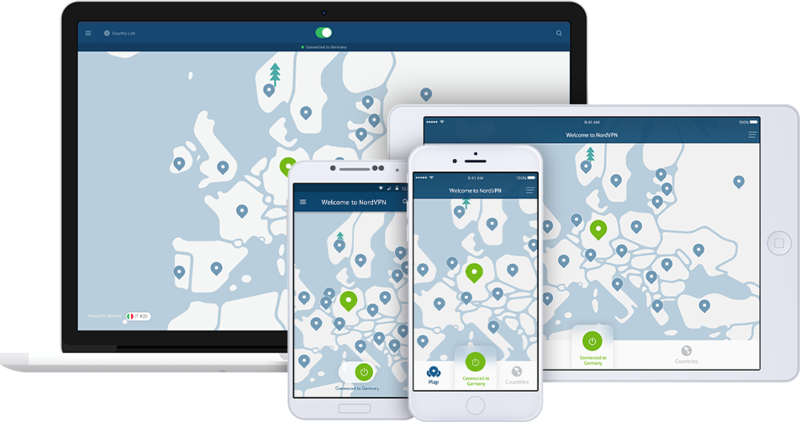 NordVPN does offer a 7-day free trial , and 30-day money-back guarantee so that you can try it for free with no risk. Windscribe VPN is at the top of our list for quite a few reasons. First, it lets you have unlimited connections, and you get 10GB bandwidth per month, which is exceptionally generous and far more than other free VPNs. 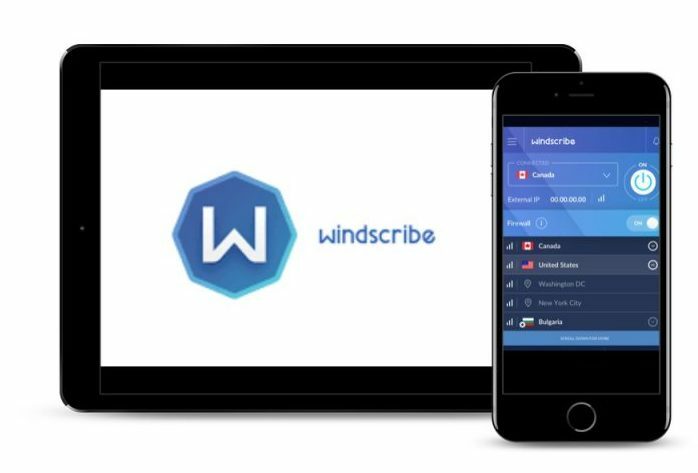 Windscribe also has some impressive security features, including a zero logs policy, robust encryption, and a strong ad-blocker, which are the type of elements usually found in paid VPNs. The only real downside to their service is the lack of servers they offer users. With only 11 servers to choose from, your speeds could potentially slow down if they get overloaded, and there’s a higher chance that you may not find a server in the country with the content you want to unblock. 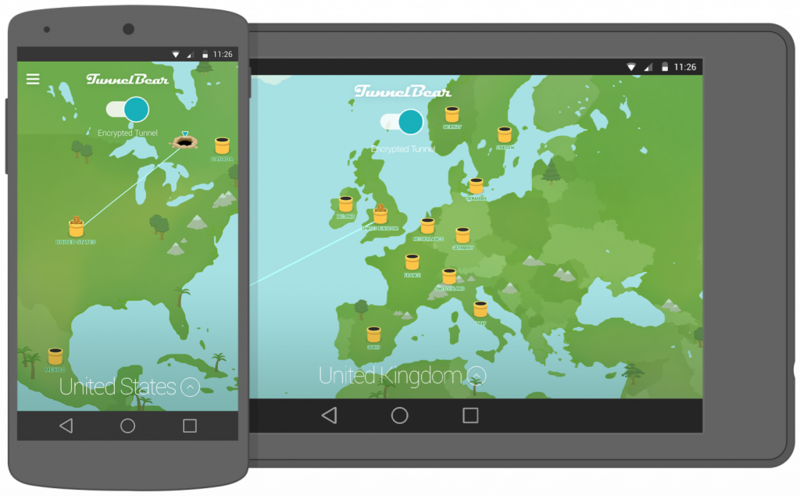 TunnelBear VPN is a simple-to-use service that offers you surprisingly fast speeds and robust 256-bit encryption protocols. Their list of 20 servers is more than you usually see with a free VPN, but it still limits you in terms of what content you can view. Unfortunately, TunnelBear’s free package only comes with 500MB bandwidth per month, which is only useful for short term or irregular use. You can earn an extra 1GB if you tweet about their service, but this is still a minimal amount, and you won’t be able to stream any shows when using the service. TunnelBear has a strict zero logs policy, and you can use it on up to 5 devices at the same time, letting you protect your phone, tablet, laptop, and other devices on just one account. They also have dedicated applications for most major platforms such as Windows, Mac, iOS, and Android. Get TunnelBear for Free Now! This VPN has designed several integrated apps for Windows, Mac, Linux, Android, and iOS, all of which are very simple to use and perfect for anyone new to VPNs. ProtonVPN is serious about security as well, which is shown through their robust 256-bit AES encryption and stringent zero logs policy. Unfortunately, ProtonVPN is very limited when it comes to servers as they only have options in 3 countries with the free version. This downside makes their speeds on the free version considerably slower than that of the paid version, but that shouldn’t interfere with the normal functions of your various devices. One of the most significant advantages to ProtonVPN is that they allow users to have unlimited bandwidth even on their free version. This is a necessary feature if you want to do anything more than just search the web, yet their slower speeds will still make it quite frustrating if you’re looking to stream content. Hide.me VPN has high connection speeds and has apps for the major platforms, including Android and iOS. It offers a decent 2GB bandwidth per month, which is still on the lower side but should be fine if you’re not interested in heavy torrenting or streaming. Hide.me VPN is a basic service that should generally cover all your privacy and security needs. They do only allow access to servers in 5 countries with their free version, so you might not be able to bypass the geo-blocks of the content you’re chasing. A big bonus of this service is that they genuinely believe in a free internet for everyone and therefore provide a service not flooded with ads. You’ll also gain access to technical support around the clock in case you run into any problems with their servers. Hide.me VPN boasts a zero logs policy for your safety and security, which is fantastic. However, the free version only allows you to connect one device at a time, so you can’t keep both your phone and computer protected simultaneously. Hotspot Shield VPN is an excellent choice if you’re chasing a VPN with fast connection speeds and good levels of encryption. 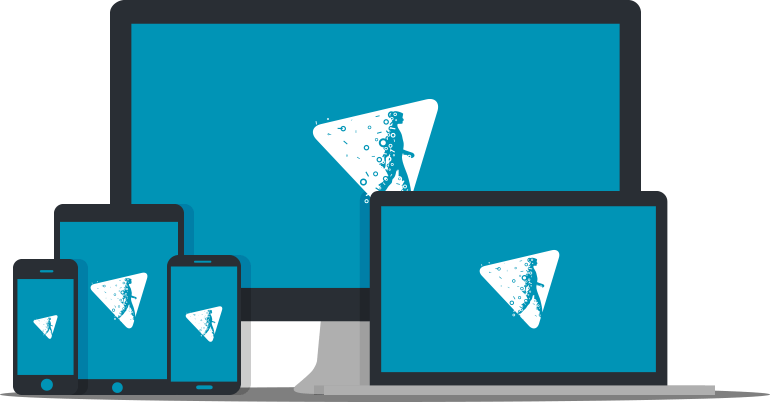 They’re our top choice when it comes to free VPNs for their usability. They also boast a no logs policy. However, we’d be wary about trusting them on this front as there have been recent investigations into their business and they discovered that this service does keep a few minimal logs. For most people chasing a free VPN, this shouldn’t concern you too much, but if you’re worried about your privacy, then this might not be the best choice for you. Another downside to Hotspot Shield’s free version is that you are very limited in terms of what you can do with the service. The half-hour a day limit does restrict you to only using the service for secure web browsing. While this VPN can access Netflix, the daily limit will prevent you from being able to stream any shows from it. The limit issues can be quickly resolved when you upgrade to their paid version and instead of protecting just one device you can connect up to five simultaneously. You’ll also get unlimited bandwidth and 24/7 tech support. If you’re curious, you can always test out their premium version without risk as they do offer a 45-day money-back guarantee to all customers. 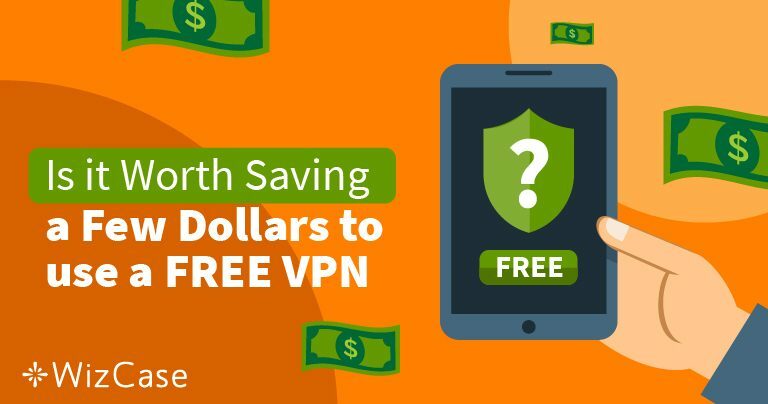 Get This Free VPN Today! Through our research and testing, we found some pretty shocking facts about a few free VPN services that we had to warn you about. The practices and services of the following free services are only putting your privacy and security at risk, so we felt it necessary to steer you away from them. Betternet is one of the worst VPNs you can possibly install as they contain one of the highest amounts of malware. Studies and investigations into the service show that they sell your personal data and information onto third-party advertisers and they collect this data through malware that is hidden in their code. One academic study busted their sketchy services and listed them as the 4th worse VPN for malware with more than 14 different types embedded into their software. This VPN has a high number of Trojans and malware so it’s important you stay far away from them. Many different types of Malware have been identified in this service such as adware, malvertising, riskware, and spyware. In fact, CrossVPN ranked as the fifth worse VPN service for abusing and taking advantage of users. If you want to keep yourself protected from online attacks, malware, and other nasties, Cross VPN is not the service for you. People often fall for the guise of Faceless VPN because it’s been around for a number of years, however, if you read the reviews on the Google play store, you’ll soon realize that the service doesn’t amount to much and the admin has been MIA for years. Paid VPNs are can greatly vary in price points, with some costing you less than a cup of coffee to those that are four times as much. However, most services will offer significant discounts if you’re willing to commit to a longer-term plan. The higher-end VPNs have lots of bells and whistles, like kill switches, the ability to run multiple connections at the same time, strict no logs policies, and round-the-clock customer care. Paid VPNs can afford to offer all these benefits because of the revenue they generate by charging a subscription fee which allows them to hire more staff and collect more resources than their free counterparts. As free VPNs aren’t generating any revenue from customers, they must find other ways to make a profit and continue running their service. Unfortunately, the solutions that most free providers come to end up compromising your privacy and security. The most common way free VPNs generate revenue is by installing adware into their application, meaning that every time you use it, you get a lot of pop-up ads for other products and services. This can be annoying, but it’s not too different from what most reputable websites do these days.You can also quickly close these pop-up ads when they appear with relative ease. Keep in mind, however, that where there’s adware, there are trackers that keep tabs on your internet activity, to better target you. That means if your goal in using a VPN is to maintain your privacy, the presence of ads is a big red flag. Most free VPNs don’t have log deletion policies, so they keep track of the sites you visit, your IP address, and any personal data relating to your connection. This information is commonly sold to advertising companies, which again is a massive violation of your privacy and it can even compromise your security depending on the information they give away. This is the most extreme way a free VPN could make their money, and it’s pretty rare as it does the complete opposite of what a VPN aims to do.If you’re unfortunate enough to cross paths with one of these services they’ll swipe your personal information and auction it off to the highest bidder. They can even use your device to generate fake clicks to drive up ad revenue from their partners. Fortunately, however, there are free VPNs out there that don’t pose these risks. The catch with the safe options is that the features they offer are always limited. They usually only provide a free version to encourage you to upgrade to one of their premium plans. By capping the amount of data you can use and limiting the number of servers you have access to, they can give you a decent taste of their service, but the frustrations that come with these restrictions are designed to make you want to upgrade. It can be reasonably inconvenient, and is likely to get in the way of streaming and torrenting, but, the bottom line is they are legal services you can trust. Most paid and premium VPN services have a free trial period or money-back guarantee as a courtesy to potential users. If you’re only looking to use a VPN for a short period, it makes sense to sign up for one of these quality services. You’ll be receiving the best protection and features on the market free of charge, so it’s not worth bothering with a free VPN. For premium services, NordVPN is our top pick, but ExpressVPN and CyberGhost are close runners up. ExpressVPN offers a 30-day money-back guarantee with no questions asked. You will have to give them your payment information, but as long as you cancel before the 30th day, you won’t be charged a dime. ExpressVPN is routinely listed among the fastest VPNs on the market and is well respected by the online community, and it has servers in more than 148 locations which can help you beat censorship in places like Russia and China, especially if you travel regularly for business. CyberGhost, on the other hand, has a 45-day money-back guarantee for users which is much longer than most. They’ll give you access to more than 3,500 servers in 60 countries, and they have a 24/7 live customer support team to help you out. CyberGhost VPN offers some impressive security features like a kill switch, DNS and IP leak protection, strict no logs policy, and 256-bit AES encryption. You’re also able to connect up to 7 devices simultaneously allowing the whole family to be connected. These free trials are a great way to determine what you need in a VPN and how comfortable you are paying for a service. 4Can You Watch Netflix with Free VPNs? Watching Netflix with a free VPN can be more hassle than it’s worth. If you are able to find a free VPN that can bypass the strict geo-blocks put in place by the streaming giant, it’s likely that they will have limits on their bandwidth or speed so watching your shows becomes practically impossible. The reason most free VPNs struggle to bypass these geo-restrictions is due to their severe lack of resources. Without time and manpower, these small organizations simply cannot keep up with the everchanging firewalls Netflix has established. The ones that have managed to sneak through often put a lot of hard work and effort into this feat, so they will limit your bandwidth and speed to ensure only customers giving back to their service by supporting them gets the full benefit. If you want a free VPN to access Netflix, your best bet is to download a premium VPN with a free trial as they are truly the only services that you consistently provide you access to the streaming site. It takes a sophisticated and dedicated system to bypass the blocks Netflix has in place, and there’s little you can do to get around that. Luckily, a lot of premium services that have the ability to unblock Netflix have 30-day money-back guarantees. The best quality VPNs you can try out include ExpressVPN , NordVPN , SurfShark VPN , and CyberGhost VPN . 5Do Free VPNs work in China? In short, the answer is yes. Some free VPNs do give you access to the internet in China, however, you need to be extremely careful when using them. The People’s Republic of China has some very strict laws when it comes to internet censorship and if you’re caught accessing restricted content the consequences can be severe. If you’re not familiar with the current internet restrictions and censorship laws in China, here’s a quick rundown. The Chinese government doesn’t believe in a free internet for its people and restricts the content that they can access. It’s mostly put down to religious, political, moral, economic, and historical reasoning but certain blocked websites fail to fall into these categories regardless. Some of the blocked websites will undoubtedly include your favorites such as Facebook, Google, Twitter, and thousands more. Getting a VPN that can sneak past the Great Firewall of China is no simple feat, in fact, there are only a select few that can manage it and successfully keep your information and activities hidden from the government. While some free VPNs have been successful in giving users access to the internet in China, they lack a level of security and privacy. This means that the Chinese government may still be able to track your internet history and punish you for breaking their laws. If you want complete and utter security and privacy, we can’t in good faith recommend any free VPNs as they just don’t have the capabilities to keep you safe from the government’s prying eyes. When you’re online gaming, there are tons of benefits to using a VPN. These benefits range from being able to download exclusive content, reducing ping times and overall lag, and encrypting your data and save files. You can also protect yourself from DDoS attacks and be the first the play new release games by changing your IP location. The biggest issue with VPNs and online gaming is that most gaming sites ban or reject the use of VPNs in conjunction with their service. While there are some high-quality VPNs that can trick gaming sites and sneak past these restrictions, most free VPNs don’t have the same capabilities. If a gaming site discovers that you’re using a VPN, they might just block you until you disable the service, but in some extreme circumstances, gaming sites have been known to lock users out of their accounts indefinitely. If you’re an avid gamer, you’re probably wondering if you’ll be able to access your favorite online gaming sites while connected to your free VPN. The answer is rather disheartening, as most free VPNs limit your ability to access P2P sites which is necessary for most online gaming. Although the market is flooded with free VPNs, many of them pose serious security risks. It’s not just that many have slower speeds, bandwidth limitations, and connection restrictions. Many track your activity and sell your information to generate money. While the above free VPNs are the best out there, you can see that each free VPN requires you to compromise in some respect. This is especially the case if you want your VPN for streaming or torrenting as there isn’t one available that’s going to both keep your data secure and provide you with enough bandwidth to complete the task. Therefore, if you’re willing can spend a bit of money on a premium VPN, we highly recommend NordVPN . It will even cost you less than a cup of coffee a month, which is a small price to pay for guaranteed security and free internet. With its unlimited bandwidth and high speeds for fast streaming and torrenting, you’ll never feel frustrated that you can’t watch your favorite shows. But don’t take our word for it, use their money-back offer to test them out for yourself and decide if their cheap subscriptions are truly worth every cent.